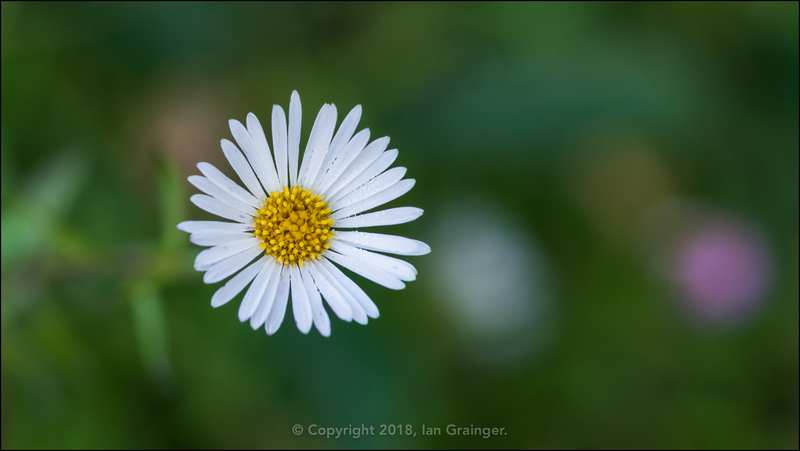 After the vile conditions last week, this week conditions were almost perfect for photography during my Sunday morning photo shoot in dad's garden. While it was a little chilly, there was no wind, no rain and it was bright enough to capture some decent macro images. I kicked off my tour photographing shrubs, and in particular, berries. 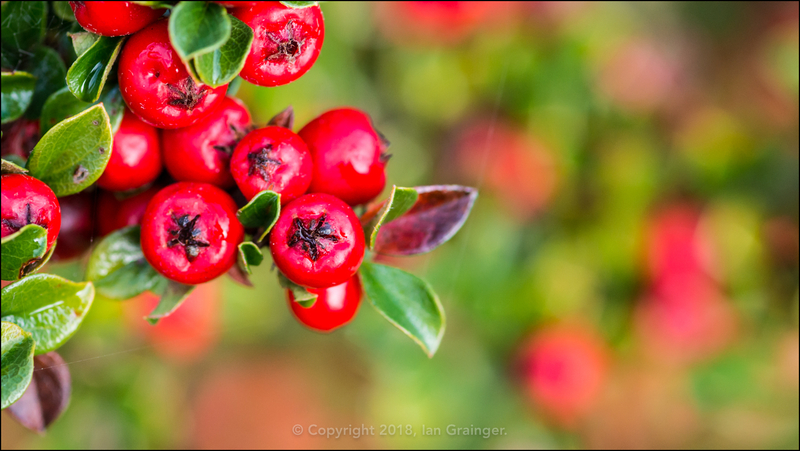 The Cotoneaster bushes had been covered in berries for weeks, but they looked better than ever on Sunday, and would no doubt be soon attracting the attention of the birds. 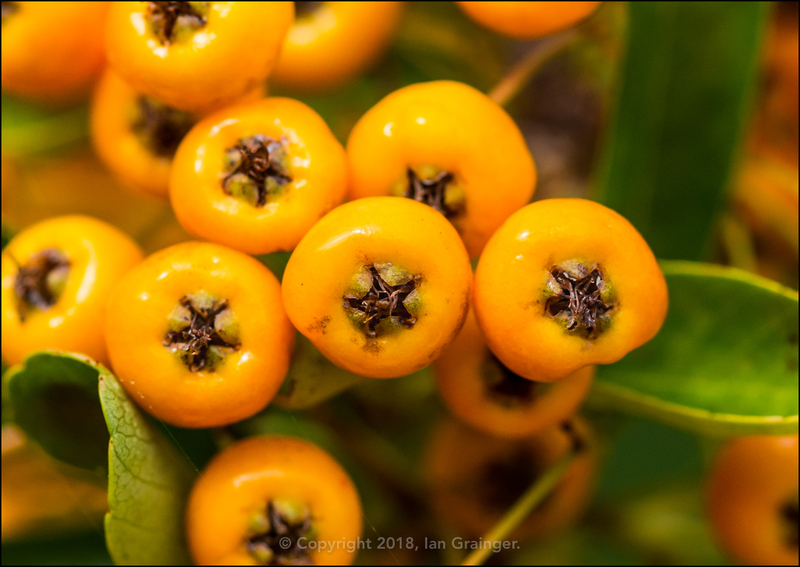 All of the Pyracantha bushes were also laden with berries that were quickly ripening. 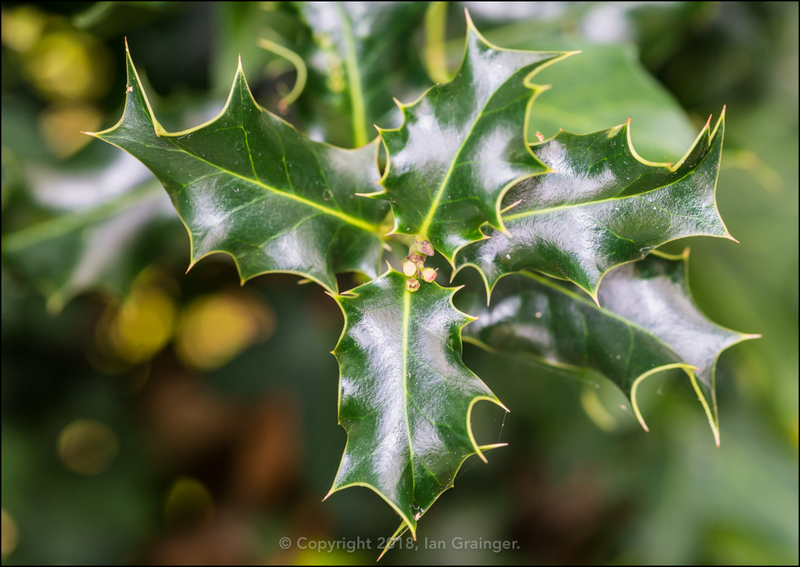 Some of the Holly (Ilex) bushes were beginning to produce flower buds again. This has got me really excited in the past, thinking that we'd have our first crop of berries ready for Christmas. However, apparently you need to have male and female plants in close proximity to each other in order for pollination to occur, and hence produce berries. Unfortunately, I don't think this is the case in dad's garden. Last week I posted an image of a Spiraea bloom that was flowering out of season. 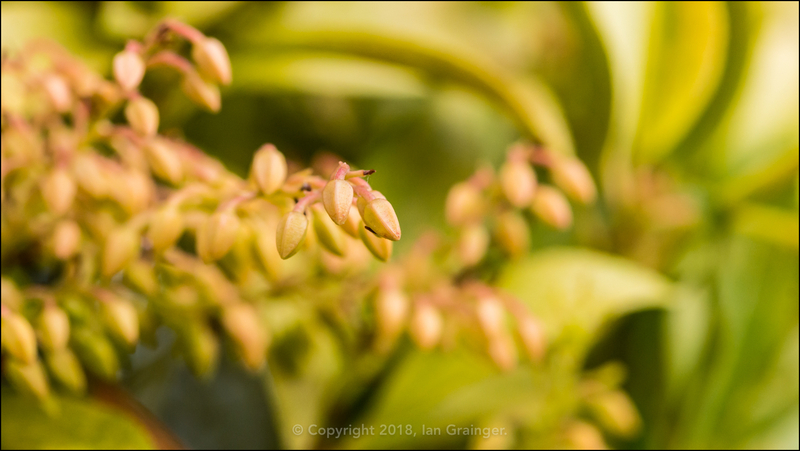 Well this week, the Forest Flame (Pieris) bush is having another go at producing buds. 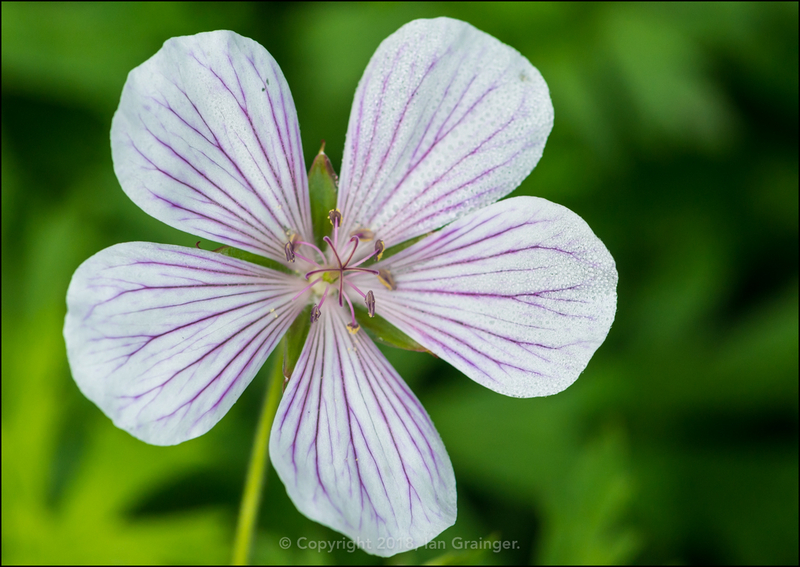 Also, I wasn't expecting to see these Hardy Geranium (Geranium clarkei) blooms again this year. 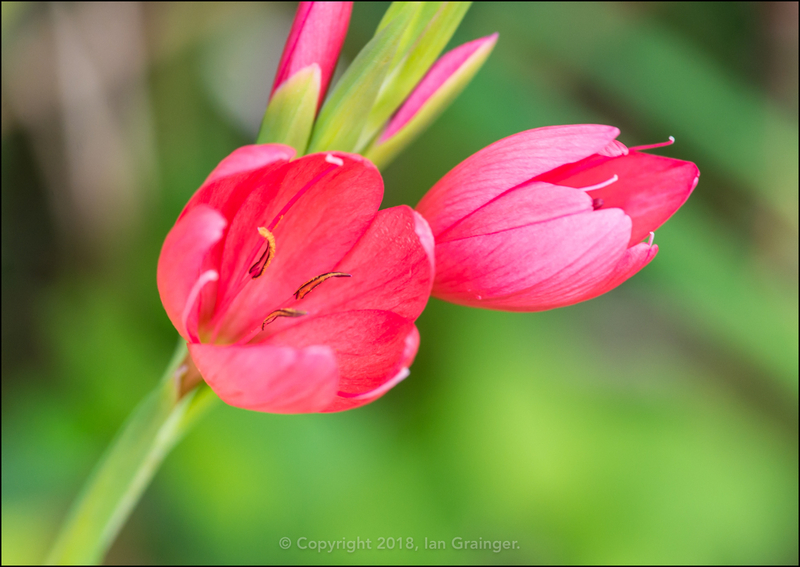 I was expecting to see the return of the River Lilies (Hesperantha coccinea), as they're one of my favourites at this time of the year. 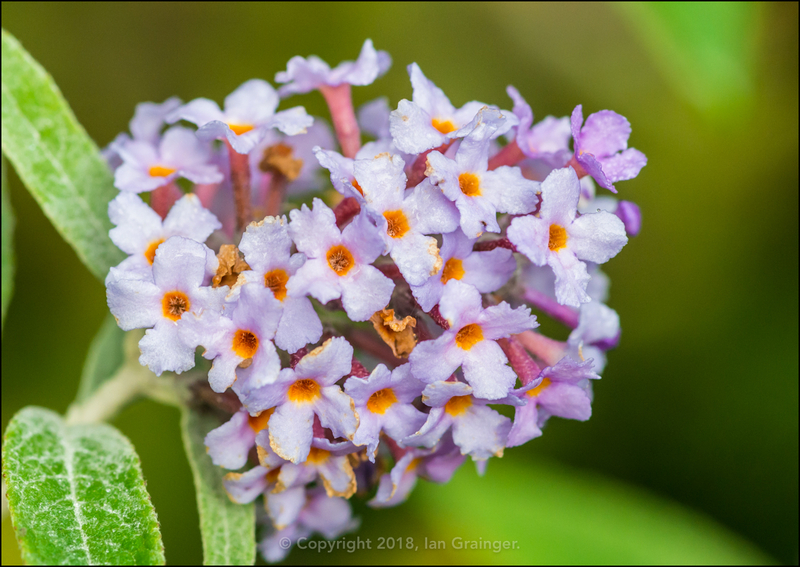 The Butterfly (Buddleia) bushes were almost done for the year, but there were a few blooms still hanging on, just in case a butterfly should pass by. 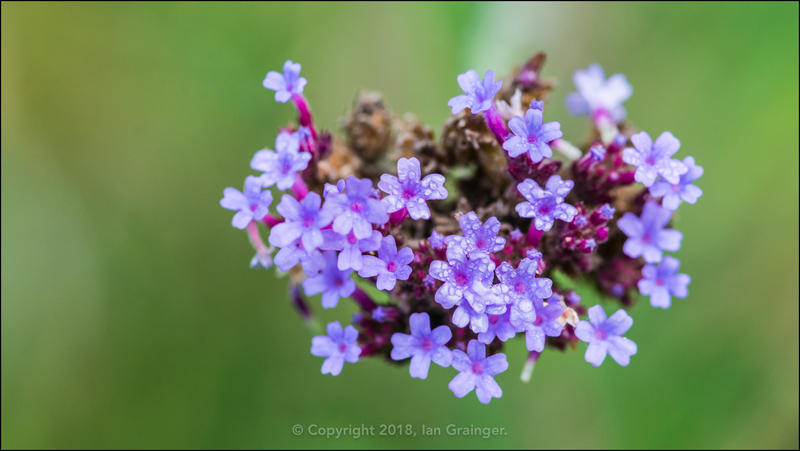 Equally, although most of the very tall Verbena plants had been blown over during the storms of a couple of weeks ago, some were still hanging on, and were looking lovely. 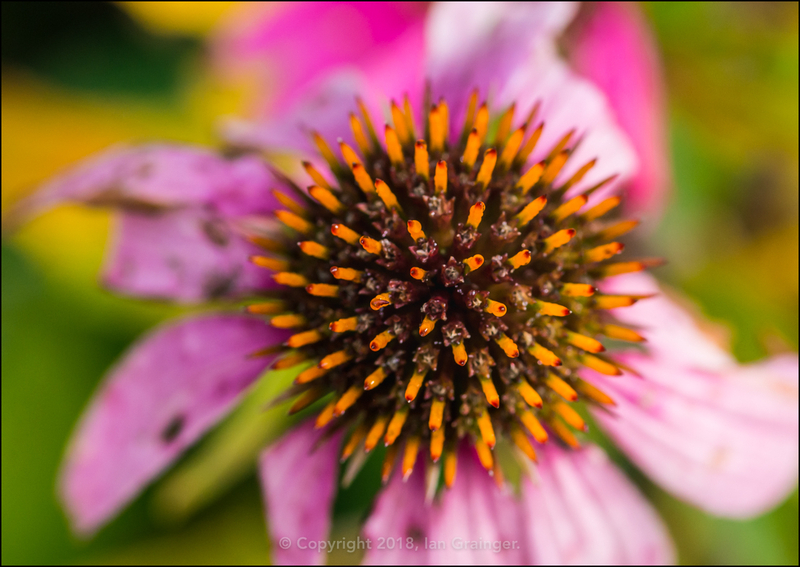 The Coneflowers (Echinacea) on the other hand, were fading fast, and would soon be gone completely. 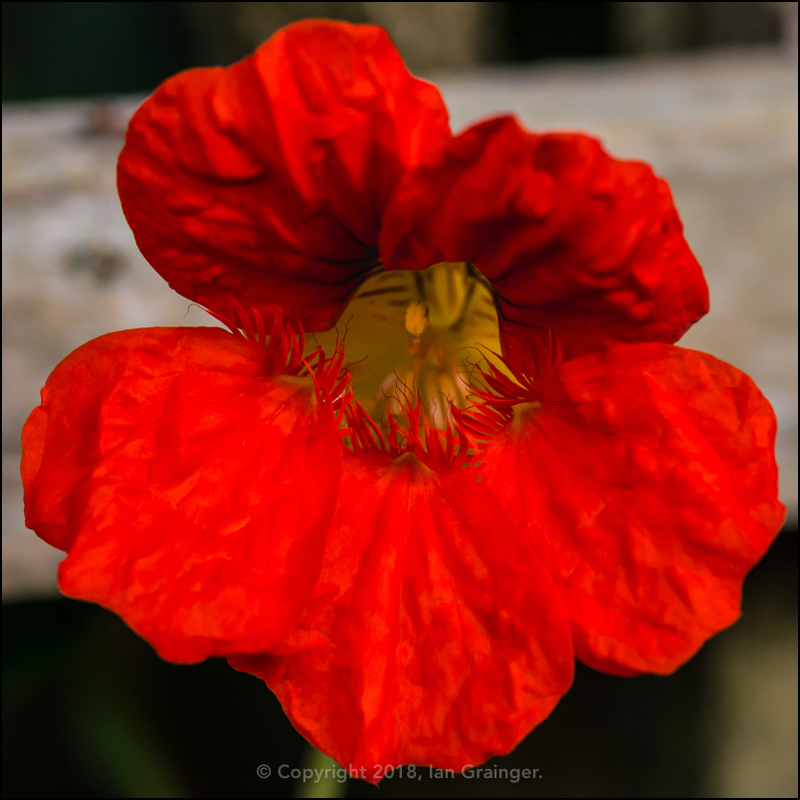 There were still a few surprises to be had though, with some dark red coloured Nasturtium (Tropaeolum) blooms appearing since last week. 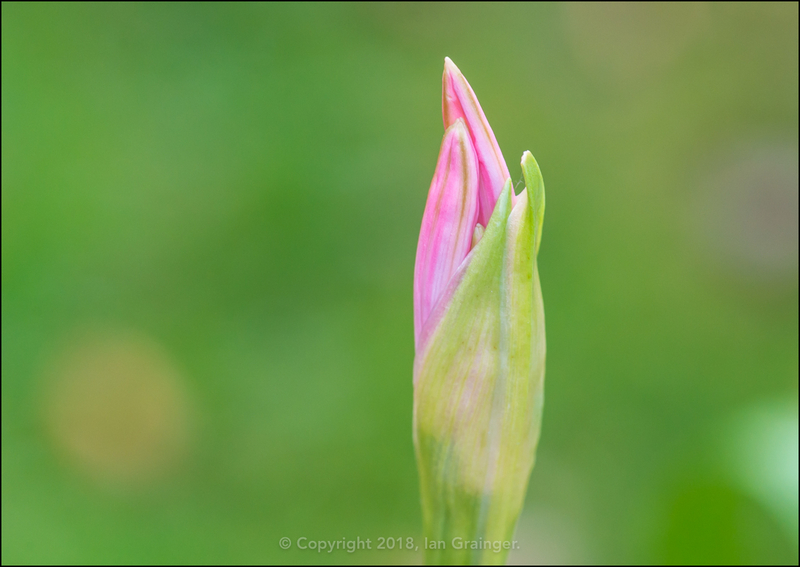 There was also a new Nerine (Nerine bowdenii) flower bud to celebrate, that seems to have appeared out of nowhere! 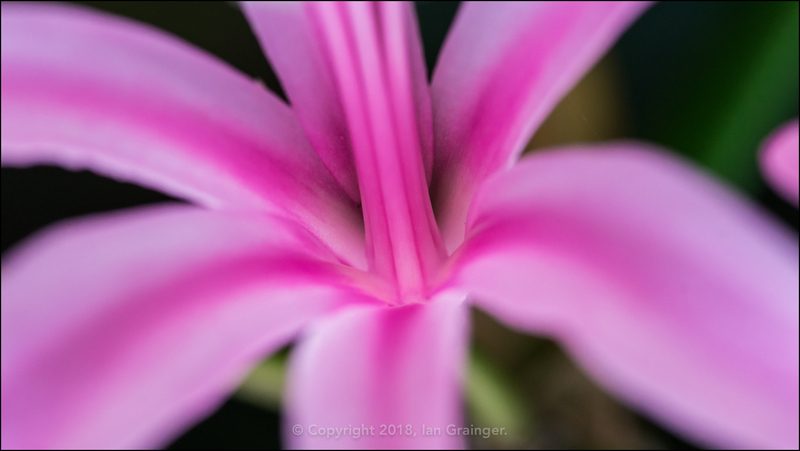 Staying with Nerines, I couldn't help but try my hand at a more abstract shot of the blooms I used as my Image of the Week shot last week. 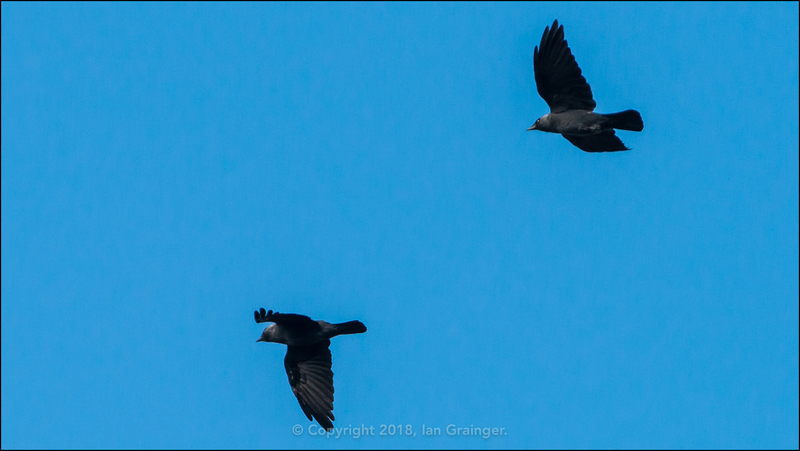 From this shot of some passing Jackdaws (Corvus monedula), you'd be forgiven for thinking that it was a lovely morning with gorgeous blue skies. However, this was more of a blink and you'll miss it situation, with clouds quickly covering up all of that beautiful blue. 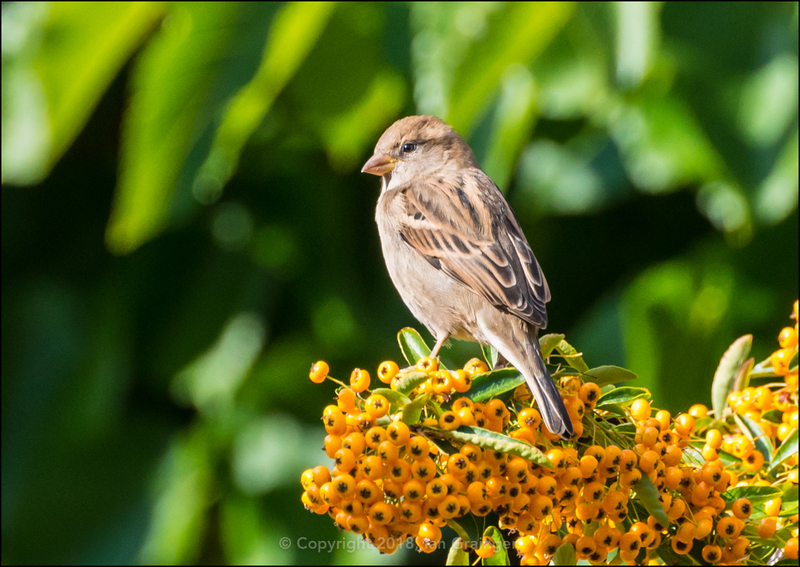 When I first spotted this juvenile House Sparrow (Passer domesticus) picking at the Pyracantha bush berries I thought it was trying to eat them. It wasn't. It was actually picking off Ants that had invaded the bush! Onto my fishy friends. This one is a blast from the past! 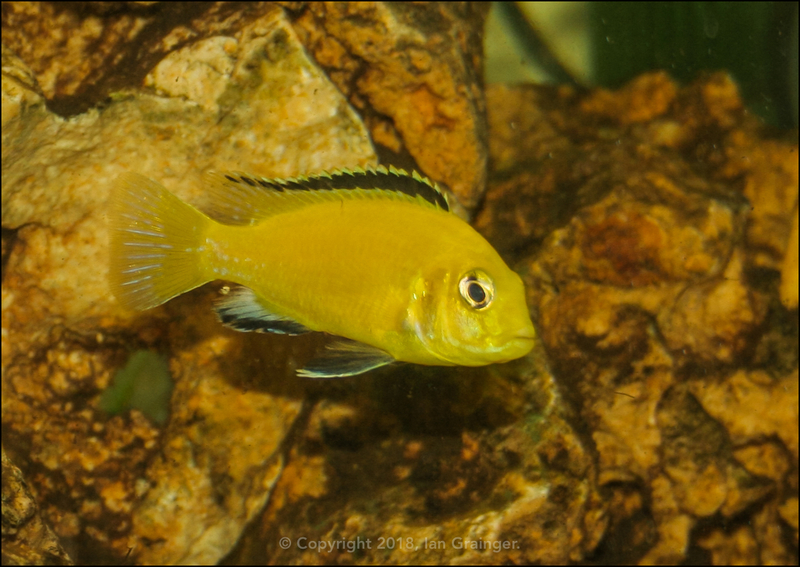 The Electric Yellow Cichlid (Labidochromis caeruleus) was one of the first Cichlid species I ever kept. This was one of a breeding pair that I had which successfully spawned on multiple occasions. The Yellow Lab is a mouthbrooder - meaning that once the eggs have been fertilised, the female scoops them up into her mouth and carries them until they hatch. She will continue to provide them with a safe haven for about three weeks after they've hatched, or are too large to fit into her mouth.